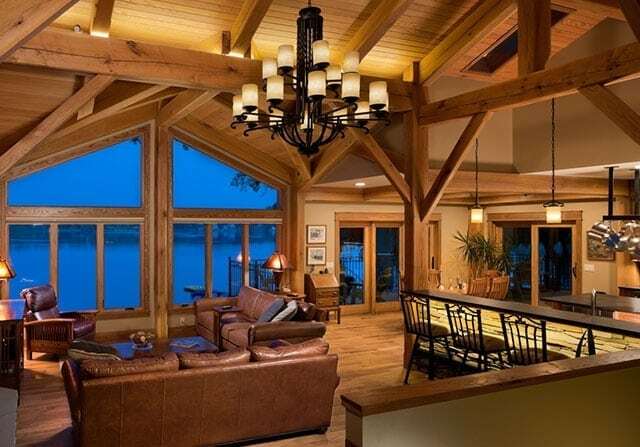 When you choose to work with Riverbend Timber Framing, you’re embarking on a journey to create your perfect home with a complete team of experts that have been in the business for more than 40 years. By working with our team of professionals, you can take advantage of unparalleled expertise. We pride ourselves on the level of care and craftsmanship that goes into every Riverbend home. Our process is steeped in the grand tradition of timber framing. Each home features gorgeous timbers, intricate trusses, and the kind of inspiring design you can only expect from master craftsmen. Find more information on the craftsmanship you will receive with your custom home. 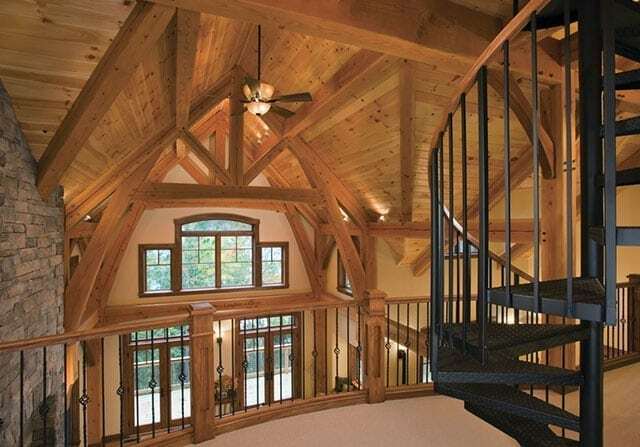 When you work with Riverbend Timber Framing, you’re working with a team of experts. Everyone from our client representatives, designers and timber frame artisans is a Riverbend employee. That means every person working on your home has a vested interest in the quality and success of your project. Learn more about our in-house team of experts, and how we make them work for you. Our team is pleased to work directly with you to help you design a home that meets your overall budget. With Riverbend, you can expect us to walk you through each part of the design and construction process to let you know what you can expect to spend. Get additional details on what can impact your turnkey cost and how you can best design your timber frame home to your budget. While our methods might be rooted in old-world tradition, our building system embraces the latest that modern technology has to offer. Our Structural Insulated Panels (SIPs) and Insulated Concrete Forms (ICFs) are manufactured by fellow PFB companies. See more information about our structural shell building system and how it can benefit your home. 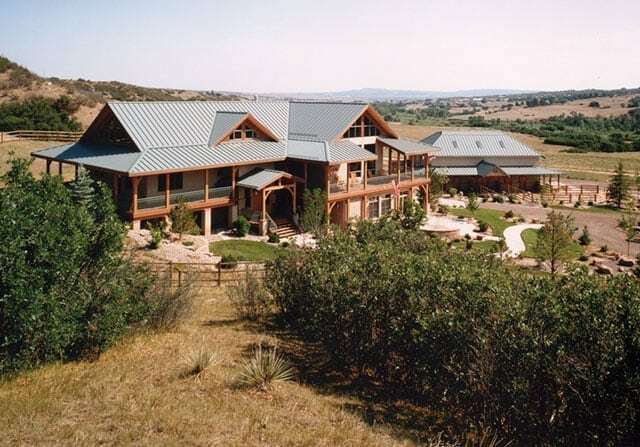 When you design and build a Riverbend timber frame home, you get beauty and efficiency. All of our homes are built for optimal energy efficiency to reduce your overall energy costs. Our team can also help you with certifications such as LEED, EnerGuide, and more. Find out everything you need to know about making your timber frame home as energy efficient as possible. 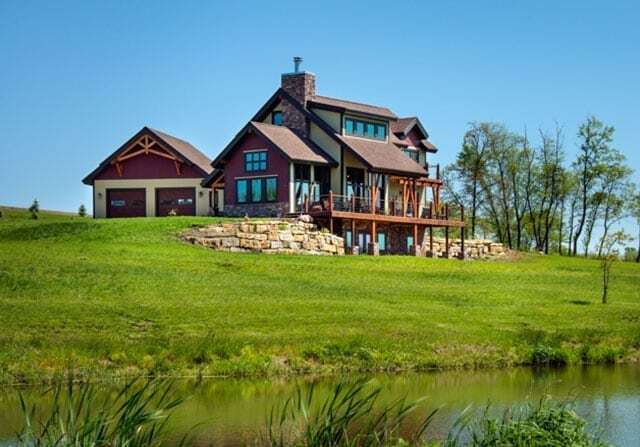 There’s much more to the value of a Riverbend timber frame home than meets the eye. Our people, designs, high quality products, and more all contribute to a custom home that is greater than the sum of its parts. 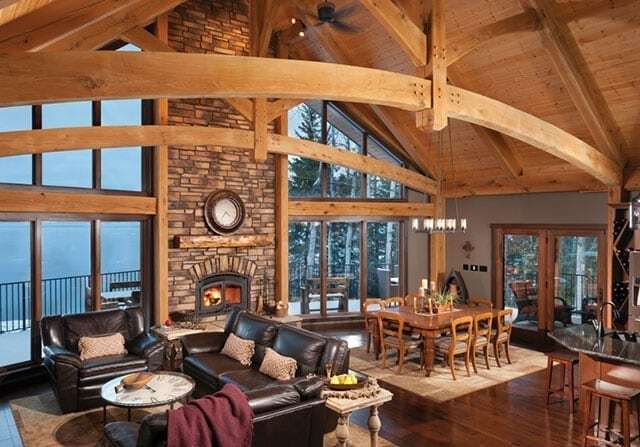 Riverbend Timber Framing is proud of the value that it provides to its customers with every home. If you’d like to receive more information about one of our homes or are ready to start your design process, please contact us today.